I started my blog back in December 2010 and it's still going strong. I've posted at least once post a month since then, so feel free to browse through the archives. 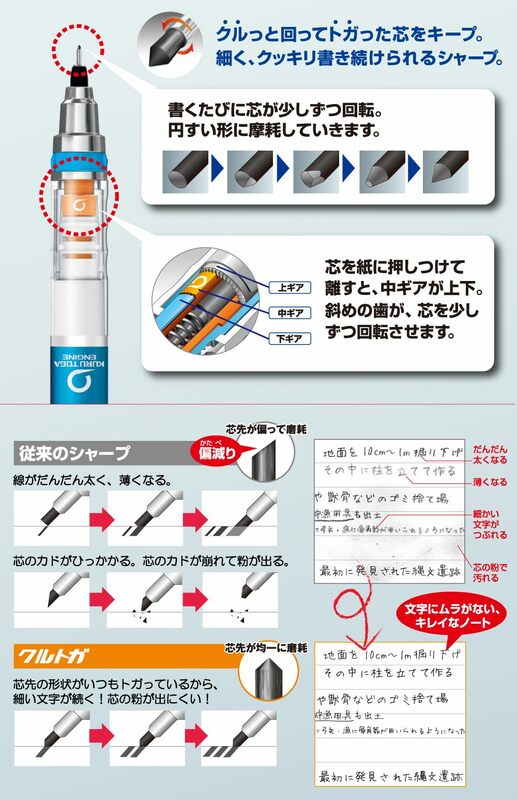 If anyone ever asks me which mechanical pencil is the best, I always tell them to look at the Kuru Toga. From top to bottom, we have the “Original” all plastic design, the “High Grade” design featuring a smooth metal grip and a thinner overall barrel, and the “Roulette” which swapped the smooth metal grip of the High Grade with a knurled grip. This is also the order they became available and I’ve always switched as the newer models came out. The Roulette has been the most recent design and it has been the version I have used almost exclusively since then. 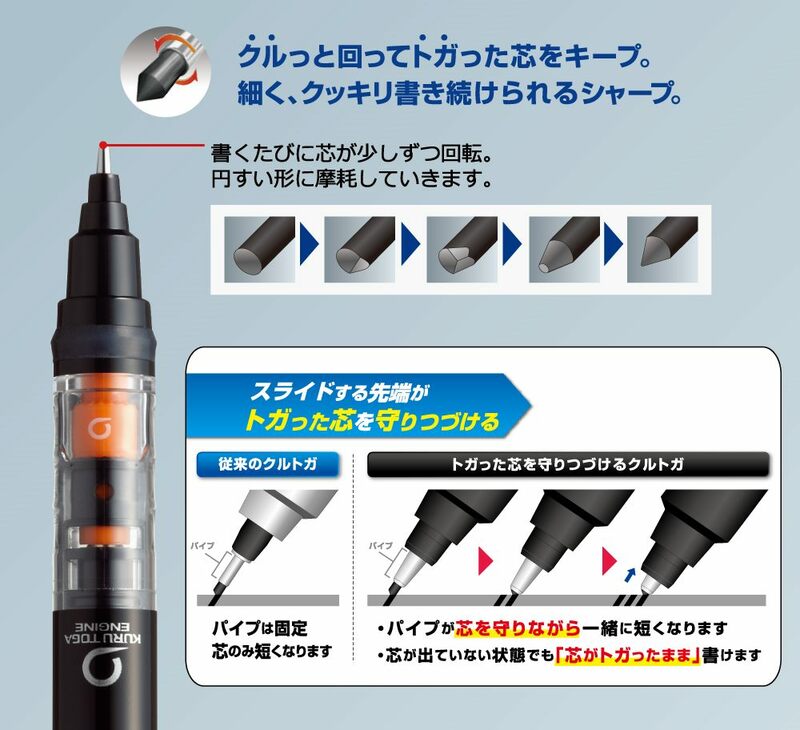 As you can see above, the Kuru Toga takes a unique approach by rotating the lead. This drastically improves the consistency of the lines produced from the pencil and reduces the chance of breakage. This is really great addition to an already fantastic pencil mechanism. Being able to push the lead pipe up into the barrel makes the pencil much nicer for storage because the overall length of the pencil is reduced and the tip is a lot kinder to pen holders and pockets. It makes it safer too. There have been a number of times when I’ve accidentally stabbed myself in the hand with my Kuru Toga Roulette, a less than pleasing experience – trust me. In addition, the lead pipe slowly slides up the lead as you use it. 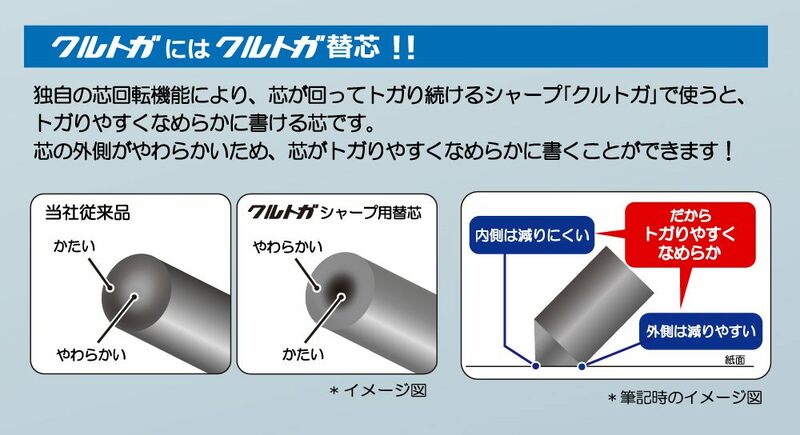 This means you don’t need to propel the lead as often, and there’s no way that the tip of the metal pipe will ever scratch against your paper when the lead gets worn down. I hadn’t actually had this on any of my pencils before and it’s also a really great addition. Saying that, I tend to propel the lead anyway, as I like to be able to see a larger tip. But I found that I was able to write nearly twice as long as I could with the Roulette using the same B grade Kuru Toga lead. That’s pretty amazing. Finally, while I am pleased to see this kind of improvement come to the Kuru Toga, I must say I’m a little disappointed that they chose to only update the original design. I have a lot of pencils I can choose from and using the same plastic design of the original Kuru Toga isn’t appealing enough to grab my top spot, I’d much rather see the Roulette design feature this new pipe. I can only hope an updated Roulette is on the way, and I’m keeping an eye out for it. Follow @desk_of_jules for more stationery photos!